Special Collections works with faculty to hold classes that develop the primary source literacy skills of their students. We can provide hands-on activities and support for research projects that use primary sources. For deeper student engagement, consider multiple class sessions or out-of-class assignments. If you have already taught in Special Collections and plan to use only 19th to 21st century books, your class can be taught solo. We will provide handling guidelines to give to your students. 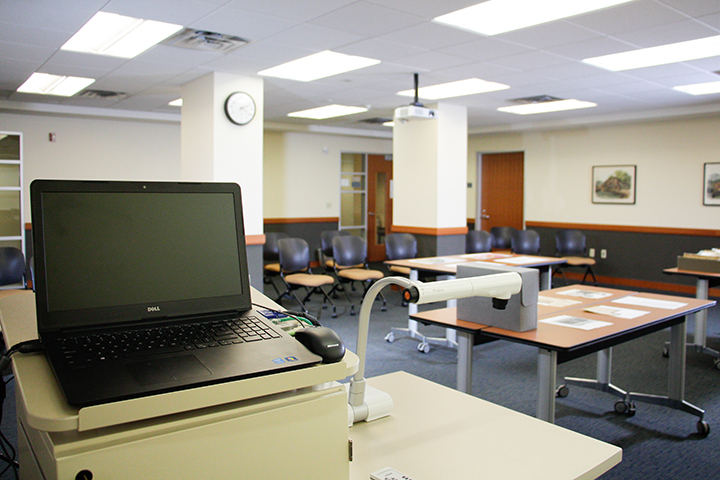 If your class is larger than 35 students, we can come to your classroom and teach using online finding aids, digital collections, or select collection materials. Alternatively, complete the form below to get started. 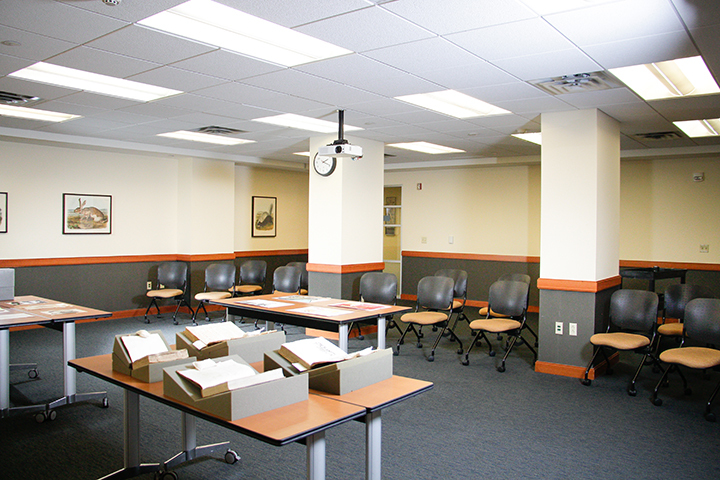 While we make every effort to accommodate all, note that availability of the Evans Room is best at the start of each semester.